Charlottesville City Council today named Michael C. Murphy Interim City Manager effective August 1, 2018. Murphy, 47, joined the City of Charlottesville staff in 1995 working in Community Attention. 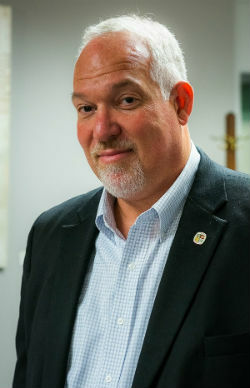 He served as Director of Community Attention beginning in 2003 and became Director of Human Services when the department was established in 2010. Mr. Murphy assumed the role of Interim Assistant City Manager in March of 2015 and was promoted to Assistant City Manager in August 2015. Charlottesville City Council will hold a public hearing related to the search for the next permanent City Manager at its August 6, 2018 meeting which starts at 6:30 p.m.
Council is dedicated to an extensive and thorough community outreach process over the next four to six months and they have retained Springstead-Waters to assist the City in the recruiting process. Over the previous six months, Murphy has been heavily involved in the City’s preparations for the August 10-12 weekend that marks the anniversary of last summer’s tragic events in Charlottesville.